MySensors SMD gateway (nRF24L01 PA+LNA, 2.4GHz) designed to fit Raspberry Pi GPIO ports. 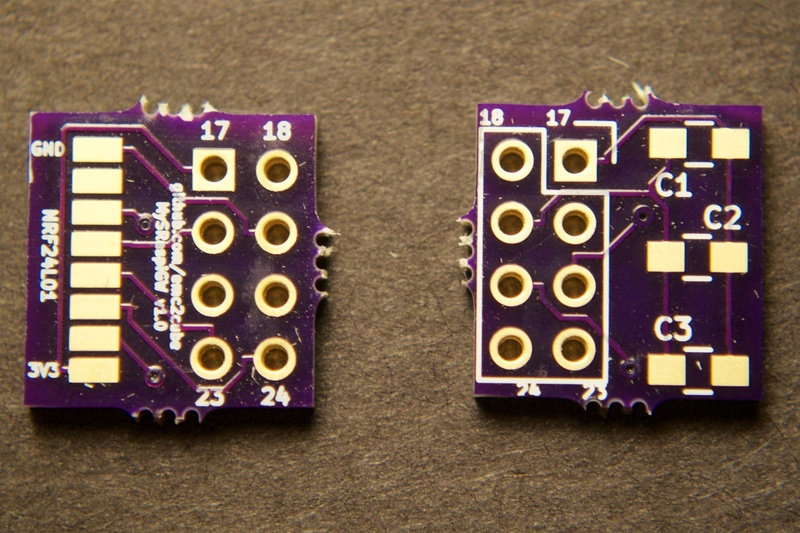 Shrunk PA+LNA SMD version of GertSanders Raspberry Pi2 GPIO interface for NRF24L01+. PCBs.io 4 for $0.86, black 1.6mm PCB, ENIG finish. OSHPark.com 3 for $1.05, purple 1.6mm PCB, ENIG finish.